History was made this summer when Wendy Tuck became the first woman to win a round the world yacht race and her sailing success has already inspired more women to consider taking part in this epic challenge. Organisers of the Clipper Round the World Yacht Race, the race which Tuck won, have today revealed that a female topping the podium has led to more interest from women than ever before. 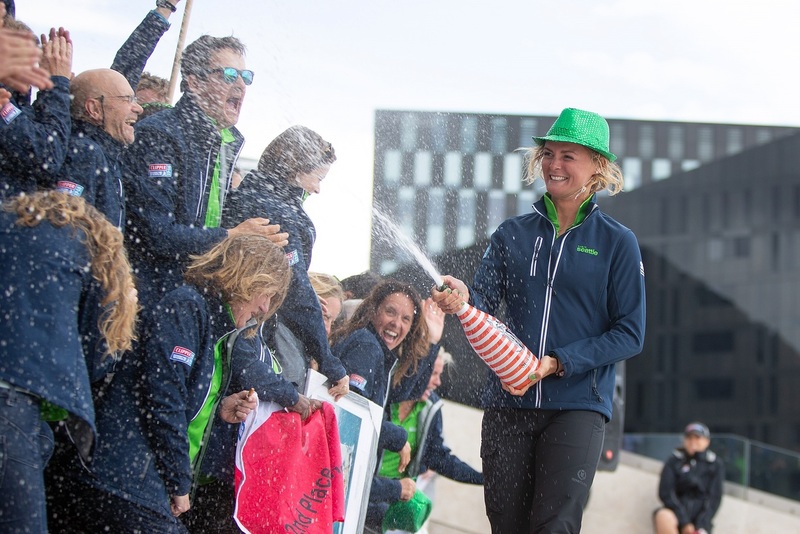 It was a landmark year for the Clipper Race as not only did a female skipper take first position in the 40,000 nautical mile race, Nikki Henderson, 25, from Guildford, claimed second place too. Male application requests are still higher than female however the female one-two legacy is hoped to encourage more women to consider taking on this adventure in the 2019-20 edition of the race or in the future. Says Della Parsons, Clipper Race Crew Recruitment Director, who took part in the race herself in 2009-2010 says: "Having women take the top two spots of our podium is certainly having a positive impact. We've been busy recruiting since the Clipper 2017-18 Race finished and the big spike in interest from women is testament to Wendy and Nikki's making history this summer. On a global stage they proved that gender is irrelevant in leadership and if this gets just one more girl dreaming big then these wins have broken barriers beyond just sailing. "It is rare for men and women to compete together in sport so it's no surprise that this landmark win has helped shift the balance. Potential recruits have told me seeing Wendy and her team celebrate their victory spurred them on to apply to be crew in the next race. We've had occasions when it has been an all woman room on interview days and this is unprecedented. Regarded as one of the toughest challenges on the planet, the Clipper Race is the only event which trains everyday people to make six ocean crossings, covering six continents, testing them to their absolute limit. Fewer people have sailed around the world than climbed Mount Everest, and with 40 percent of crew having no previous sailing experience before signing up - the achievement is all the more incredible. From 21 to 24 September, the public are invited to find out what life is like for Clipper Race crew. One of the Clipper Race 70 foot ocean racing yachts will be in St Katharine docks in London for free Open Boat tours and a chance to meet past and future participants in the Clipper Race.